The past few months I have been traveling a bit. First, I went to Montana to visit my family there. Now I am living in the Portland area to make it easier to look for work here. Since I have been on the move, I have attended a number of different churches. While serving as a pastor, I had very few opportunities to visit other churches. Occasionally I would go to another church as a guest speaker, but I really only attended church as a “regular person” while on vacation. So being a regular church attender week after week is something that I have not experienced for a long time. I want to share some of my reflections on this experience on the other side of the pulpit. When I started attending church as a “regular person,” it was refreshing to realize that I wasn’t responsible for anything. I could just relax and enjoy the service. I could reap the benefits of the effort and preparation made by others. It was enjoyable… for a few weeks. Then I began to feel left out, like I was on the outside looking in. I wasn’t a part of any of those communities. I was just passing through. The problem is that it is easy to slip into “observer mode.” Observers don’t make a commitment, they just watch, and sometimes critique, the ministry of others. But there is not a gift of “audience.” In the church, the Body of Christ, we are all member and therefore participants. Once things settle down, and I know where I will be living and working, I look forward to being a participant rather than an observer. If you are not serving at church, then it’s easy to feel that it doesn’t make any difference whether you show up late, or even whether you show up at all. No one is counting on you for anything. But if you are a member of a spiritual family, and not merely an observer, then it does make a difference. Not to mention that the Bible tells us to “not neglect” meeting together (Heb. 10:25). But being an effective church member takes more than merely showing up and filling a chair. To be a faithful participant rather than merely an observer takes effort. Do you rush in the door during the second song, with your mind focused on the cares of the week or your plans for the afternoon? Do you expect the worship team to usher you into God’s presence without any preparation of your own? Or do you get there a few minutes early and prepare your heart for worship? Or better yet, do you begin to prepare your heart on Saturday evening for worship the following morning? Just because I am not preaching and am not responsible for anything at the church does not mean that I do not need to prepare my heart for worship. Visiting a number of different churches is frustrating because it is difficult to get to know people. Since I’m not really sure how long I will be around, it’s hard to be motivated to build relationships. On the point my wife is a good example. Within a few weeks of our attending a church in Seaside, OR, she started inviting different people to join us for lunch after church. Because of her efforts, we did get to know a few people at that church before we moved out of Seaside. Christian fellowship is about relationships, and relationships take effort. It’s most obvious when you are new to a church, but even if you have been there for years, it takes effort to build and maintain relationships. We often make church more about us rather than about God. At one church I visited recently, at the end of the service the worship leader said “We hope you enjoyed the service.” Well, yes, it is good to enjoy worship. But the main reason we worship God is not for our own enjoyment, but rather because He is worthy. A mature believer can experience great joy in bowing before the King of Kings in humble adoration, but I don’t think that that is what is usually meant when people talk about “enjoying the service.” How about ending the service with “I hope that God touched you powerfully in the worship service” or “I hope that you are closer to God than you were when you came in.” Still related to us, but at least God is in the picture. Church leaders have picked up on the fact that many church goers are in it for themselves. 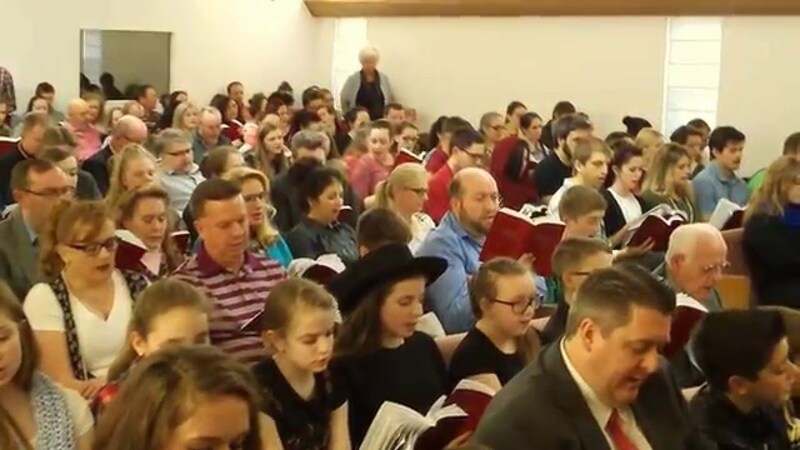 In recent years it has become fashionable to talk about the Sunday morning “worship experience.” People want a certain feeling out of going to church, and savvy church leaders set out to give them that experience. 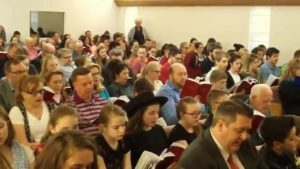 This has lead to feel-good preaching that avoids all the really challenging passages of the Bible, and worship songs that are all about our experience rather than all about God. When I hear someone speak of a “worship experience” it makes me want to gag. It brings to mind some sort of insipid religious form of entertainment. Yuck! In case you haven’t noticed, I’m on my soapbox now. But really… shouldn’t worship be God-centered? Shouldn’t we bow in love and adoration before the One who died for us? Shouldn’t we freely give ourselves in surrender to our loving King? That’s the kind of worship that I long for, but I realize that I can’t rely on any worship team to get me there. We have to prepare our own hearts, and cultivate a life of worship. Then when we gather on Sundays it will be awesome. I know that I’m not there yet. I still have some way to go. But I hope that my rambling thoughts have been helpful to you. Please leave a comment to let me know what you think.